Click here for Jersey Curriculum for Maths. Pupils apply their mathematical knowledge to science and other linked subjects wherever possible. The expectation is that pupils will move through the programmes of study at broadly the same pace. Pupils who grasp concepts rapidly will be challenged through being offered rich and sophisticated problems & through depth of questioning. Parent Number Sense Workshop - Thank you so much for coming. You can view or download our slides from our session here! Can't wait to start planning the next event... see you there! Encouraging a love of numbers throughout childhood helps children to develop a strong understanding of numbers, which is often called having good number sense. Children with strong number sense have the ability to use numbers confidently, with flexibility and with place value understanding. This means a child with strong number sense understands relationships between numbers. ​For example, when thinking about the number four, a child might describe it as three less than seven, one less than five, three more than one and one more than three. This child will also be able to estimate quickly by seeing numbers or groups of objects as sets instead of needing to count by ones. In addition, a child will be flexible with numbers which often allows them to build their own meaningful ways for solving number equations or when problem solving. These abilities will help build children’s mathematical confidence, as they understand how numbers work and thus become quick and reflective mathematical thinkers. Guess My Number: Dinner time is the perfect time to play a simple number game such as Guess My Number. To play, choose a number within a set (based on age) range such as 1 -20 or 1-100. This number remains secret until someone guesses it. To start have one participant at a time take turns narrowing the range until one is able to guess the number. Questions might include: Is it greater than fifty? Is it an even number? Is it less than eighty? Is it more than twenty? The range of numbers should narrow each time until someone guesses the actual number. Number Riddles: To play, choose a number. This number will be kept a secret. I usually ask the child to write it down but turn it over. This way, if the child forgets he/she can have a quick look. Next, this player provides one clue at a time for other players until the number is guessed. Clues start out broad and then narrow in on the number. For example: 1. My number is two digits. 2. My number is greater than forty. 3. My number is less than sixty. 4. One of the digits of my number is an even number. 5. One of the digits of my number is two less than nine. Times Tables - 2's, 10's, 5's / 4's, 8's, 12's / 3's, 6's, 9's / 7's / 11's - why are they grouped like this? Developing your child's times tables should be regular and involve more than just rote revision. Making groups of physical objects, counting on and using visual clues will really help your child learn them for life adding to their 'number sense'. Below is a video of how you can use a counting stick to practice times tables at home... don't have a counting stick? Who does? Use a broom or even a stick from the garden! Check out our 3x video progression below! 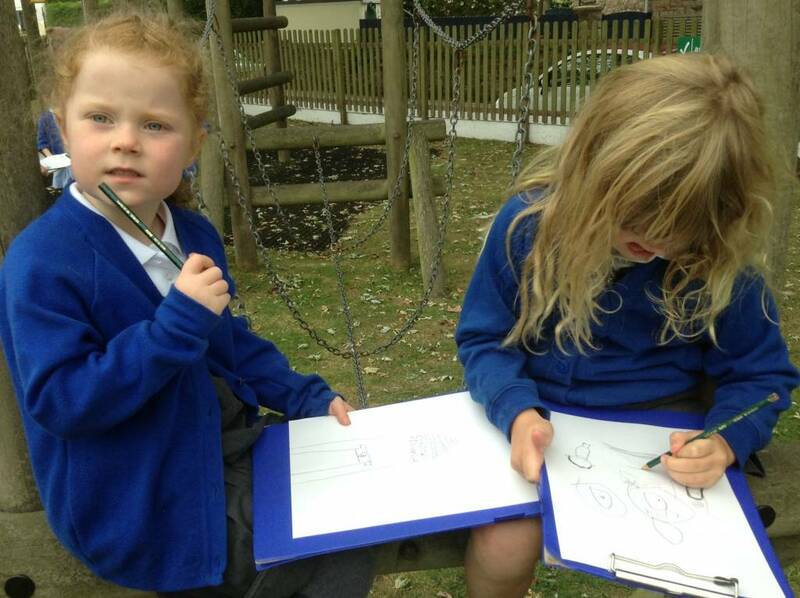 What does Maths learning look like at Grouville? Our teaching of Mathematics is richly supported by the National Centre of Excellence in the Teaching of Mathematics (NCETM) and underpinned by high-quality mastery maths resources including the Singaporean approach: Maths No Problem, and UK based 'NRICH' Enriching Mathematics materials. Pupils explain their mathematical thinking when solving a calculation. Throughout all sessions, children work alongside a learning partners to discuss the concept and consider multiple ways to represent the problem and to solve it using the most efficient method. This process ensures that children understand not only the process, but more importantly, why they are doing it. The whole class moves through content at the same pace. When teaching maths for mastery, the whole class moves through topics at broadly the same pace. Each topic is studied in depth and the teacher does not move to the next stage until all children demonstrate that they have a secure understanding of mathematical concepts. Though there is still plenty of opportunity for differentiation. Pupils who grasp concepts quickly are challenged with rich and sophisticated problems within the topic. Those children who are not sufficiently fluent are provided additional support to consolidate their understanding before moving on. Teaching maths for mastery is a key plank of the Government’s education reforms and is reflected in the 2014 English national curriculum for mathematics. The NCETM, Department for Education and OFSTED have all endorsed this evidence-based approach which is a key part of the work within the Maths Hubs Programme. The Department for Education, the National Centre for Excellence in Teaching Mathematics (NCETM), the National Curriculum Review Committee and OFSTED have all emphasised the pedagogy and heuristics developed in Singapore. The maths textbooks that we are using at Grouville Primary School are based on the Singapore Maths approach and have been widely adopted by the Department for Education’s Maths Hubs. NumberJacks videos for children learning the relationship between numbers and developing their number sense. www.bbc.co.uk - Good for everything - cbeebies, bitesize, schools etc. www.murderousmaths.co.uk - a really jolly maths website, great ideas.